Scouting employs a program of informal education with an emphasis on practical outdoor activities - camping, woodcraft, aquatics, hiking to name a few. A widely recognised Scouting characteristic is the Scout Uniform, by intent hiding all differences of social standing in a country and making for equality. All members make this simple Promise to become part of the Worldwide Scout Movement. The Scouting Movement believes that the world is a better place when people: are trustworthy, self-controlled and self-confident, have self-respect and respect for others, work together to serve other people and to improve society, and to have an active faith. Because these principles are integral to Islam and analogous to its values, more than a third of Scouts in world are Muslim. 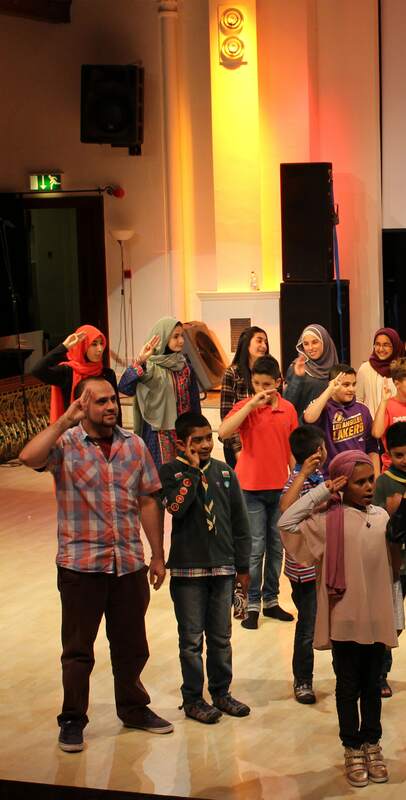 Muslim Scouting in Britain and in the rest of Europe is a new phenomenon. It has developed in the last ten years to cater for the needs of a growing second and third generation Muslims. Muslim Scouting developed to help young Muslims achieve their full physical, intellectual, social and spiritual potential as individuals, as responsible citizens and as members of their local, national and international community. We believe young people develop most when they're ‘learning by doing’, when they're given responsibility, work in teams, take acceptable risks and think for themselves. Parents tell us Scouting gives their children more confidence, responsibility and a broader set of friends. Scouting can help develop your child’s social skills and encourage self-sufficiency. It also gives them access to activities and opportunities that may have been otherwise been unavailable. Development is guided by the Balanced Programme - a continuous progression of training, activities, badges and awards for all young people. Adventure is at the core of Scouting. 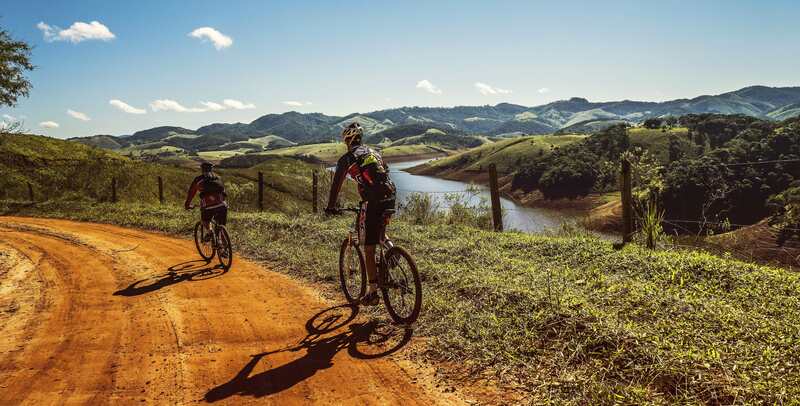 Through adventure we challenge individuals so that they learn and experience new things that will enrich their lives. It is designed to help young people learn about their community and the wider world, improve their fitness and develop their creative talents. 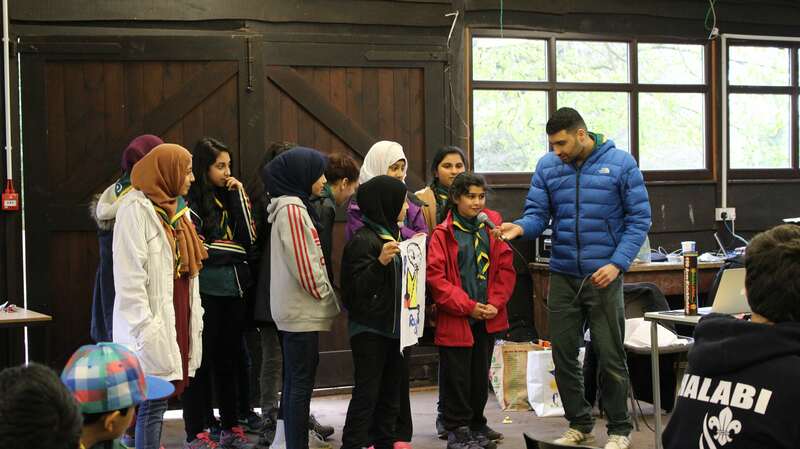 It encourages them to enjoy adventure in the outdoors and develop their beliefs and attitudes against the backdrop of the Scout Law and Promise. Young people should expect opportunities for outings, indoor residential and camping experiences and other challenges suited to their age and ability.